DESCRIPTION Jeremy Sturgess Contemporary Mountain Beauty! As featured in Western Living, Colorado publication of Mountain Homes, This pleasantly different home has incredible SW mountain views from the giant great room, dining room, kitchen and the master bedroom. Located on a dead end street that is extremely quiet and peaceful in the Mountain Resort of Silver Tip. Complete privacy in the protected courtyard / hot tub area which has access from the great room, hallway and master ensuite, this is truly a home that needs to be seen to be appreciated. Over 3,800 SQ FT total with 4 beds, 3 baths, family room & wine room, this home has everything a family could ever want. The master bedroom has perfect views to the SW, a completely private deck, and one of the coolest master bathrooms in Canmore featuring 80 windows! Dynamic angles, custom mill work, stone clad wood burner and flat panel cabinets round out the finishing. Home for sale at 33 Juniper Rg Canmore, Alberts T1W 1L6. 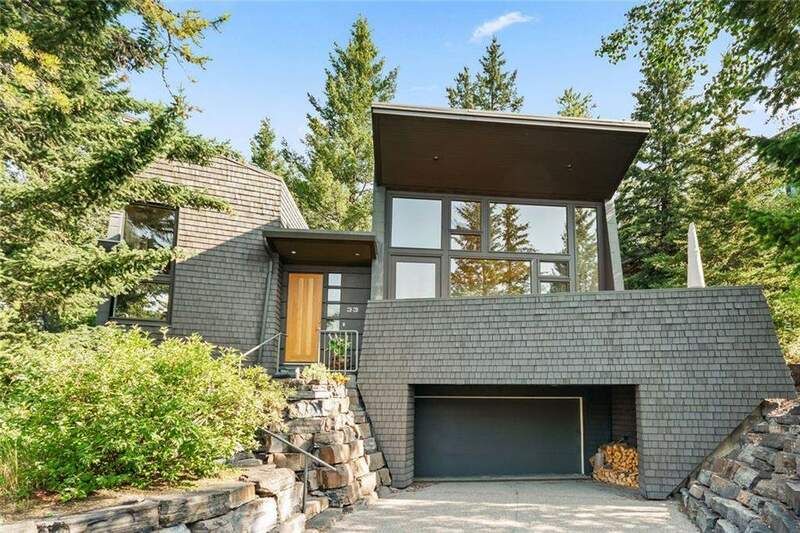 Description: The home at 33 Juniper Rg Canmore, Alberta T1W 1L6 with the MLS® Number C4178065 is currently listed at $1,750,000.